Since I started blogging, my goal was to reach people. While I love to write and take pictures and create pretty things, I really wanted all of it to be shared. I wanted parents to know the insanity isn't so bad. There can be joy in the screaming. We're all in the same "what did you do to your sister?!" boat. These past few months, I have seen a HUGE increase in traffic to my blog. Much of this traffic has been generated from Pinterest, an online pinboard. And most of these new readers are turning to my blog for one thing - my Disney semi-expertise. Disney planning parents have flocked to my Disney Tips N' Tricks page in search of any method possible to make Disney World planning easier on the brain. I know from experience that Disney planning takes a lot out of a person. And if you haven't been before? Que the confusion mayhem. Along with the fabulous new readers, and the "pageviews" they have brought my small "Mommy Blog, " I have seen a small increase in revenue. I've had new opportunities and the possibility of hanging up my waitressing apron and being home to put my kids to bed is almost an actual possibility. It's enough to bring tears to my eyes. For anyone who doesn't know, my oldest daughter is a competitive gymnast. When Hubby and I discussed her competing almost three years ago, I decided to take on the responsibility of paying the fees. I have been working ever since. I've cleaned dressing rooms at Kohl's, spent hours teaching myself HTML for my blog and currently wipe down tables of smushed french fries. Along with gymnastics bills, the money I make buys groceries, school clothes and Frappuccinos. Hey, a mom has to live too. I wanted this Friday's post to be a "shout out" to all my incredible readers who have shared in my life by reading my blog for the past two years. And the readers who just found me through Pinterest. And anyone else who clicks over to this strange place called "It's ALL Good in Mommyhood." And if you like something I post, please share it. "Pin" it. Read it twice. It makes a difference over here on my end, and I appreciate you all very very much. You make my blogging heart sing. Cheers for a fabulous weekend! Five years ago, I had just moved into my new house and my oldest son was starting 1st grade. I was petrified for him. I was worried about him riding the bus, who he would sit with at lunch and who would play with him at recess. Here I had a new mortgage, boxes everywhere that needed unpacking, and all I could think about was how my baby would do at his new school. Isn't being a parent grand? It truly puts everything into perspective. I spent the entire six hours he was gone wondering about his day. It took all my might not to sneak to school and peek through windows. I'm sure the school would have frowned on my face pressed up against the glass. And if the school didn't, the authorities would have had something to say about it. Time has really escaped me these past five years, because next week my son gets on the bus to go to middle school. I'm sure I'll be fighting the urge to peek through windows once more. Maybe I should warn the authorities in advance. 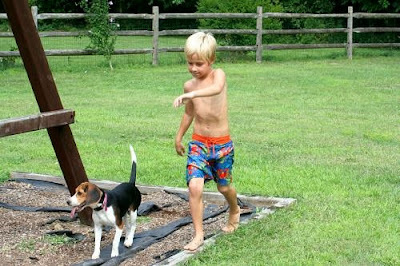 Today, my two middle children are currently entertaining themselves in our backyard, playing games like "squirt the dogs with the hose" and "where is the empty garbage can?" Don't ask. As long as they are busy, playing nicely and not watching television I'm happy to allow them to squirt the dogs and play in clean garbage cans. Isn't imagination awesome? Amazing what kids will do when they spend time outside. The world becomes their playground. That's all for now. Mama has laundry to tend to (isn't that always the case). Much love to all of you - enjoy the rest of your Thursday! Yesterday was my oldest child's middle school orientation. As of late I'm feeling bit of a pang in my heart because my kids are growing so fast. Like weeds in my vegetable garden. In an effort to comprehend what the middle school orientation was aiming to tell me, I paid a babysitter money I don't have to attend the orientation sans smallest three munchkins. It was heavenly. There were no snack requests, potty requests, thirst complaints or Pop Tart crumbs. After the orientation we had lunch with friends, and continued on our way to do some shopping. While my daughter was over the moon about grabbing some back-to-school garb, I had to convince my Sports Fanatic that new sneakers might be a good idea. I even convinced him that a lightweight Under Armour jacket would come in handy while he waited for the bus at 6:50am. After I paid for these awesome items with more money I don't have I drove him to GameStop, because as any good "gamer" would know Madden 2013 came out yesterday. My son had five games set aside to trade in, a $25 gift card and his wallet to make sure he went home with the coveted Madden 13. To say my day was wonderful would be an understatement. Spending quality solo time with my kids makes my heart sing, because all of them at once puts me into survival mode. It becomes how fast can we shop, how little can we spend and how well can we all get along. 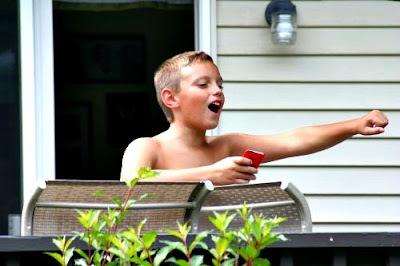 One on one time is all about reconnecting, knowing where my kids are in their lives and lovin' them like crazy. Love yours like crazy, because last time I checked I was dropping this guy off at kindergarten. Truthfully, all of these "tips" have originated from the lovely emails I receive from Disney planning parents. I've collected the most common questions I receive, and my answers are below. I'm trying to help the masses, save everyone money and preserve as much sanity for Disney planners as possible. It's a big job but someone has to do it. 1. Disney has Pin Trading, which is a hoot for kids. You can buy a starter kit in Disney World for about $30.00. Anyone wearing pins can trade pins with anyone in the park who is also wearing the mighty pin trading lanyard. We usually trade with every castmember we encounter. Trouble is, these pins are pricey. And you buy them only to watch your five year old trade a $15 pin for a $8 pin. It takes a strong parent to watch this over and over and over again. Trust me, I know from experience. 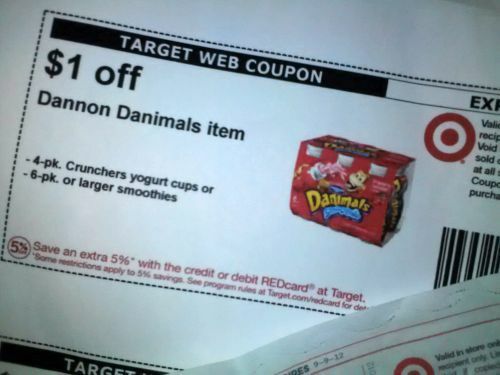 One tip I received from a reader will save parents of pin trading munchkins TONS of money. Before your trip, buy a set of Disney pins on EBAY. These are a fraction of the cost, and most of the pins will be traded in Disney anyway. When you get to Disney, buy a new lanyard, load it up with EBAY pins, and watch your children trade away! 2. If you don't have to worry about school schedules, plan your trip in the fall or summer. Fall is a great time to visit, and Disney usually runs excellent deals such as free dining with their packages. Summer also boasts many moneysaving offers. 3. As tempting as it may be, trying to rent a car and squeeze in Universal is very costly. Disney "rewards" you for saying longer, and the cost between a five and six day ticket is minimal (none if you buy through undercover tourist). When you get into a day in Disney, a day in Universal and a rental car you are spending mucho denaro. Make your trip Disney all the way and save money. 4. 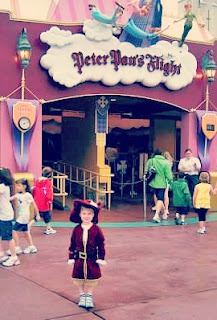 Kids love to spend money in Disney. There is merchandise at every turn and the whining to shop is just enough to make any parent crazy. You need a plan before you embark on your trip. There is a little known thing such as "Disney Dollars." 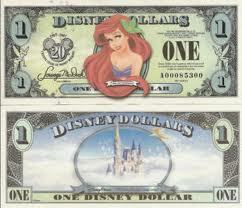 Disney Dollars are face value, but can only be spent in Disney. While I am a big believer in children bringing souvenir money and spending only what they bring, Disney Dollars can also keep kids in check. Each child gets the same amount of magical Disney Dollars, sent from Mickey Mouse himself. Stuff them in a Christmas Stocking, a birthday card or an Easter basket. Once they spend them in Disney...they are gone. No more stuffed animals and tiny Pirates of the Carribean figures. More information on Disney Dollars. 5. Do NOT rent strollers in Disney! If you have a car, you are better off buying a cheap stroller at Walmart and leaving it behind than you are renting a stroller for five days. While Disney strollers have a phenomenal turning radius, and they are convenient, they are expensive to rent. 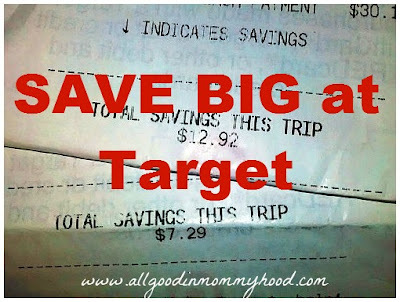 If you are trying to save, bring a stroller, or buy a new one cheap when you get there. Summer is officially winding down, and I have mixed feelings about school starting next week. While I do look forward to shopping alone, I don't think I'll have any money left to buy anything. Having the kids home has wrecked havoc on my limited finances. Their tiny bellies are like bottomless pits, constantly digesting snacks and yogurt drinks. When we leave the house, their eyes are wide with desire as we pass eateries and drive thrus. One would think these kids are never fed. I can't even grab a Starbucks without tiny voices pleading for food and Frappuccinos. 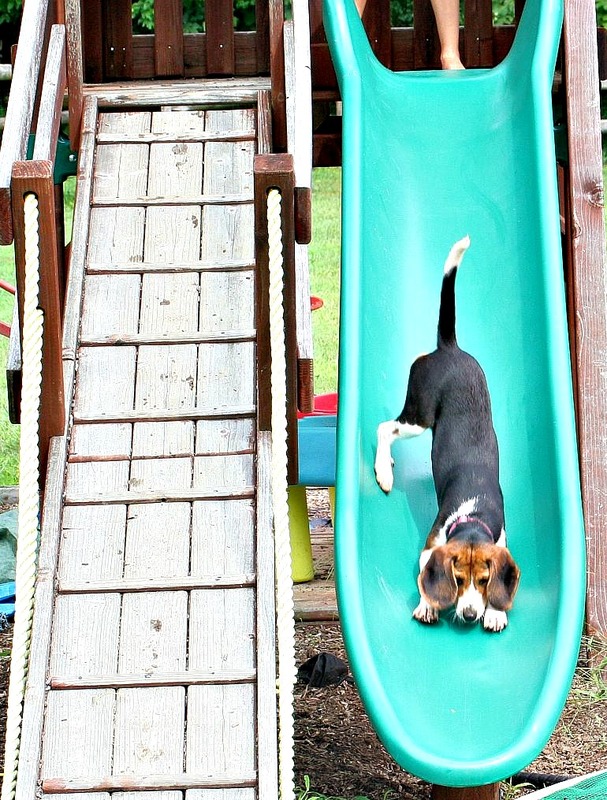 Trouble is, we have to go places because our yard and our toys are getting "boring." If we stay home, they eventually find their way back inside the house no matter how hard I try to convince them that the sprinkler is a good time. I swear my memories of the sprinkler are pleasant. Or maybe I'm remembering a swimming pool? 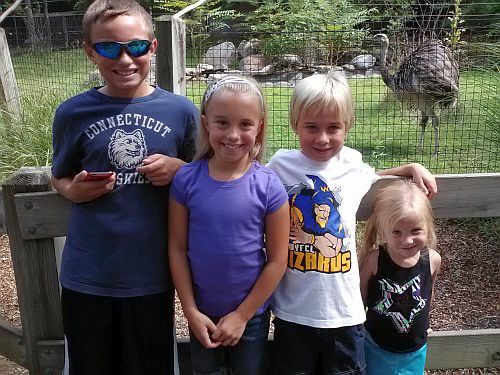 Last week, in an effort to enjoy these last two weeks of summer I took my circus to a semi-local small zoological park. It was reasonably priced, had cool animals such as mountain lions and a small snack stand to grab some grub. It was just what the doctor ordered after a few days of battling over playing in the sprinkler. The kids had a blast and we were home in time for football practice. And I enjoyed my time with the munchkins tremendously. 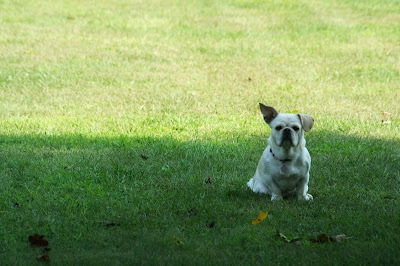 A change of scenery works wonders when the backyard is no longer thrilling. Wishing everyone who is still enjoying these last few days of no school some great, low priced entertainment. And for those of you who are enjoying their first few trips to the store sans children? Enjoy the sanity. This is what happens when you have to sell a box of chocolate for your child's football team. Last night, Hubby had a mandatory work meeting that kept him overnight somewhere in Pennsylvania. I don't really ask questions. I just need the basics these days. Return from football/gymnastics practices around 8pm. Kids enjoy a dessert, something involving ice cream. Little kids in bed by 9pm. My oldest in bed by 9:30pm. I settle into bed, with the remote at 9:47pm. I watch trash chick television until I pass out with sprinkles all over my pajamas. To prepare for my evening, I even took all four of my munchkins to Shop Rite at noon to buy groceries, and most importantly, ice cream. I was in such a great "mommy mood" we chose two Redbox movies. The kids also got quarters for those junk machines by the checkout. I was SuperMom yesterday. Pull into the driveway at 8pm, no power. Walk into my house, no power. Kids let the dogs out with flashlights because we have no power. We all settle into my room with flashlights and make a few shadow animals. An hour later, we still have no power. At 10pm, I attempt to get my generator running so I can at least scoop ice cream and get a movie on. At 10:15pm I give up on the generator, curse my power company and go back to my munchkins. We grab a bunch of blankets and pillows and make a huge bed on my floor. We all pass out at 11pm with no power. I wake up at 1am, my clock is blinking, and I move my oldest and youngest munchkin to their beds. I decide the middle two manics can sleep on my floor. This morning, I am ready to call my power company and demand an answer as to why I had no power last night. We didn't have a lick of rain, a flake of snow or an ounce of wind. I'm about ready to ask them to put my Hubby up in a hotel because they owe me a night chock full of ice cream and trash chick television. I was robbed. Is it too early to eat my ice cream? Wishing you all a Happy (electricity-enabled) Thursday! I can't even believe I'm writing this post. While a few minutes (or hours) to shop in peace is appealing, the thought of homework is enough to make my eyes well up with tears. The past two months have been heavenly, spent swimming in other people's pools and running to the store on a whim because I keep nothing in stock. We've been to camps, the beach and out to dinner. The world has been our oyster. In two short weeks I'll be reinforcing bedtimes, making lunches and rushing to catch school buses. We'll need clean clothes and dinner during the hours people normally eat dinner. Over the years I've compiled a small mental list to prepare us for back to school. While none of what I'm about to share is rocket science, it certainly helps ease the transition back to reality. 1. A week before school, get back to bedtimes. The internal clock needs adjusting, and the first day of school is not the day to shock the system. 2. Take the kids for new underwear. And socks. Make sure they have shoes. While clothes may or may not be needed, I will bet the farm your kids could use some new undergarments and footwear. If you're feeling generous buy them something new to wear for the first day. 3. Stock the pantry with lunch and snack items. 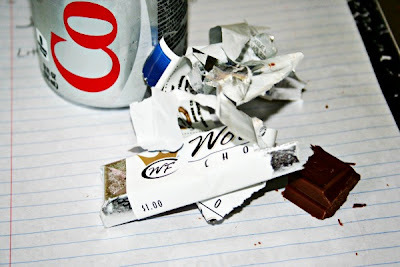 Check expiration dates on what you have in the fridge. There is nothing worse than making lunches on the first day of school with mushy grapes and stale potato chips. 4. Read with your kids. I know all of our kids have been busy reading all summer, I'm just sending out a little reminder (wink). 5. Check school websites for back to school supplies. If you need items for back to school, take your children (and your patience) to Target and stock up. Grab new lunch sacks and cold packs. 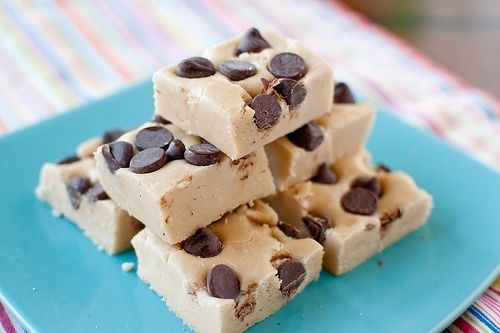 Add in some lunch or ice cream and make the day memorable. 6. Sit the munchkins down and remind them about good school behavior. Set personal and family goals for the year ahead. Discuss worries, concerns and friend troubles. Most importantly, review SAFETY tips for before and after school transportation and phone numbers in case of emergencies. Do this over dinner at IHOP. 7. Clean bedrooms. There is nothing more disturbing than sifting through laundry to find that perfect back to school outfit. 8. Limit television and video games. Better the kids experience electronics withdrawal at home than in homeroom. 9. Consider haircuts for the kids. It's nice to send the boys back to school with a clean neck and hair that isn't growing over the ears. And girls? It's good to trim out the chlorine. 10. Enjoy the last few nights with your kids. Snuggle. Laugh. Make s'mores. Cherish the family time before school starts and the chaos begins. Have a fantabulous Wednesday. Wishing you summer sunshine and well behaved kids these next two weeks! After two years of Disney posts and dozens of emails from readers, I've published my book, Disney Tips n' Tricks on Amazon. Through my blog and my email I've realized parents and Disney planning families are looking for parent to parent advice, not Hidden Mickeys. 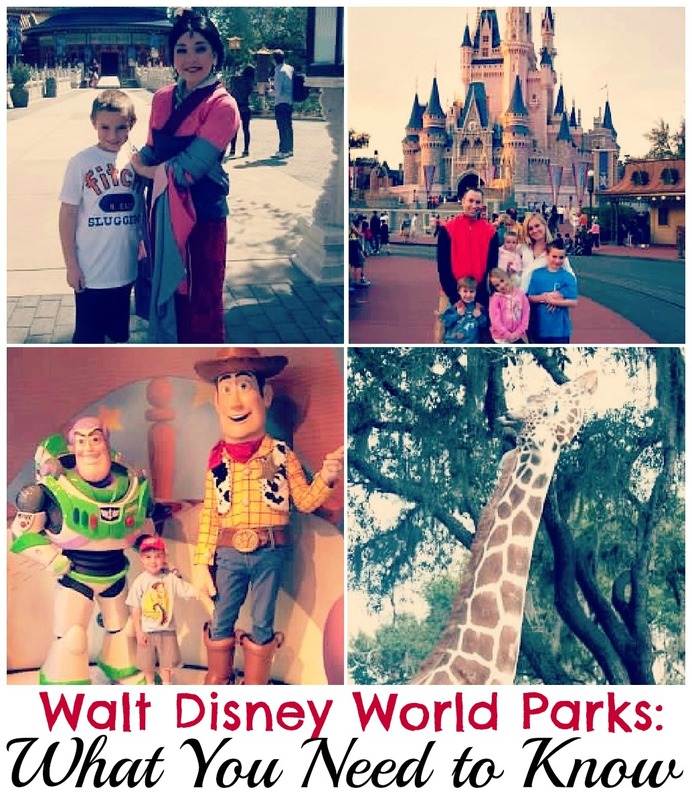 My book was a labor of Disney love, and every chapter details all of my tips, tricks and best advice for families embarking on their next Walt Disney World vacation. To all of my Disney reading fans, I thank you. You've given this blog more purpose than I ever imagined. I'm sorry these posts have all been shortened, I had to save some of the good stuff for my book. As a mommy-blogging mama of four, I greatly appreciate any sales and I still welcome emails with questions should you need personal Disney planning advice! 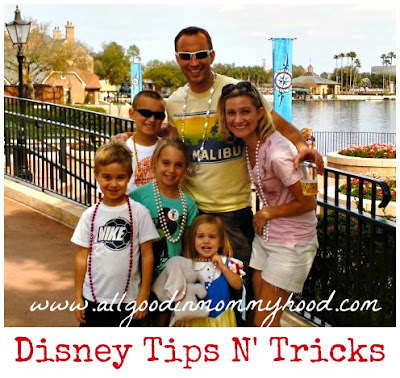 This post is now an excerpt from my book, Walt Disney World Tips n' Tricks. Enjoy! Disney is overwhelming. 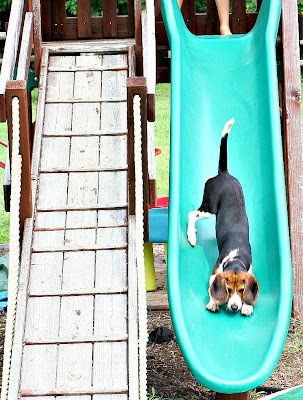 There is an overabundance of fun waiting at every turn. Planning a "first ever" trip to Disney is no small task. When you add in the cost, the planning, the logistics of getting around and the ages of everyone on the trip Disney planners usually want to throw in the towel and cry. Let me begin with this: Every family is different. Every family has their own idea of what a great vacation is about. I am a big believer in getting up and getting to the parks early. I say it over and over again. I don't like lines, I prefer small crowds, and I want to be by the pool after lunch. Some families may like to sleep in, and they don't mind taking their time in the parks. If there is a wait for a ride, so be it. They roll with it. You have to first decide what kind of Disney trip you are planning. 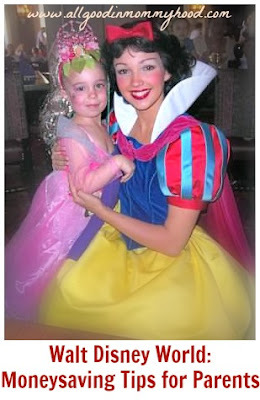 The Magic Kingdom is all about fantasy. If you are vacationing to Disney World, you MUST visit the Magic Kingdom. As you walk through the gates, Cinderella's Castle is up ahead, and it's impossible not to feel like a kid on Christmas Eve. This year, they are beginning to open a new section of the park with new attractions and restaurants. There are characters scattered throughout the park, parades, shows and attractions for everyone. For young kids there is enough to spend the entire day. I recommend visiting this park twice if you have little ones with you on your Disney vacation. Best Tip: Arrive 15 minutes prior to park opening and ride several rides with a minimal wait. Epcot Center is a "discovery" park. 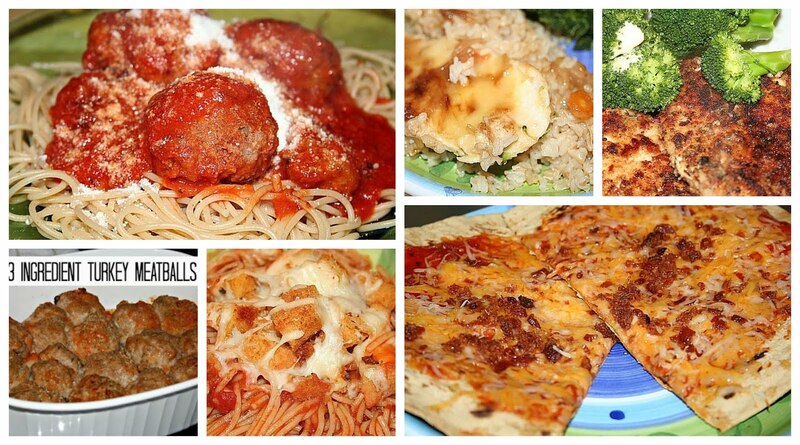 Where to Eat: The question in Epcot is where NOT to eat. The World Showcase is without question the best place to walk and enjoy a cold beer and some excellent food. In all 11 countries. 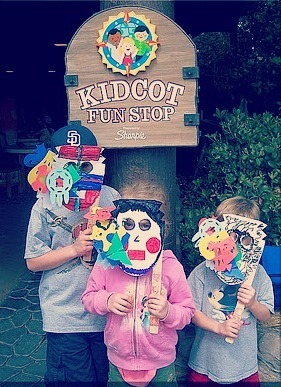 Despite the park being geared for older guests, there is much for little kids as well. Nemo, Journey into Imagination and the many discovery areas around the park make this park a great place to spend the day. The World Showcase is peppered with characters and great entertainment in every country. Every adult should treat themselves to a visit to Epcot Center, the kids will have plenty to enjoy. For more on these parks, as well as the Animal Kingdom and Hollywood Studios, order my book online. Thanks for reading! Over the weekend, we had two very big football scrimmages. Both of my boys suited up and faced the field for the first time this season. These scrimmages involve several other teams, and we do it "Round Robbin" style. The boys play six mini-games, and we get a small taste of how prepared our town is for opening day. 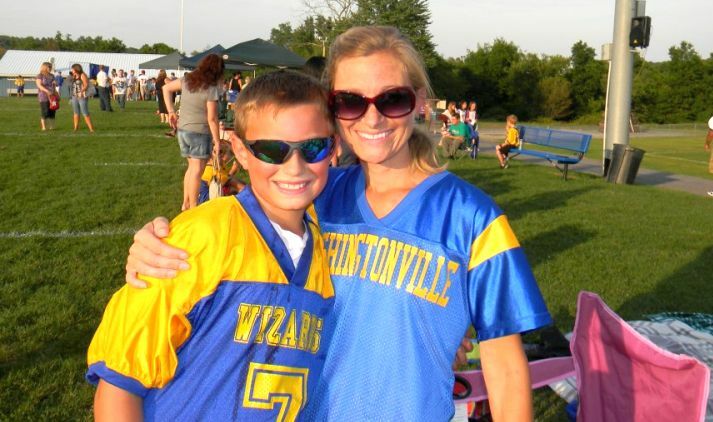 This is my fifth year as a "football mom," and it never gets dull. Ever. 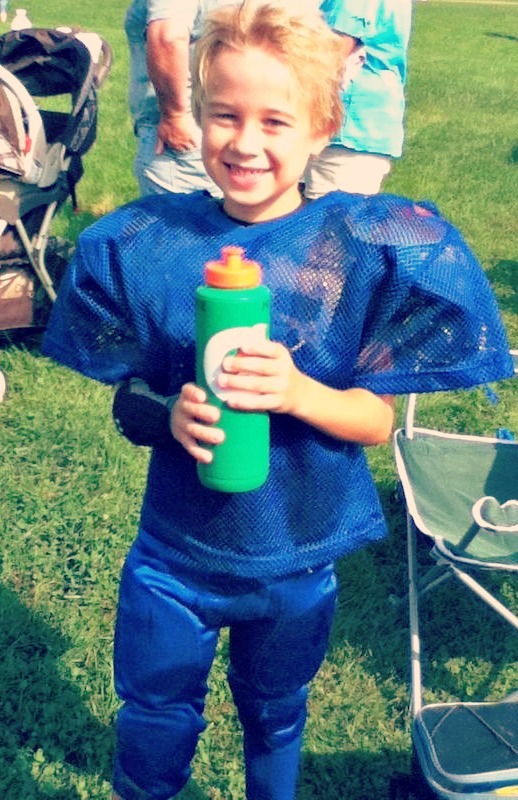 Saturday was my younger son's first experience playing "real" football. He took snaps, took hits and ran the ball with gusto. It was thrilling to watch, and even more thrilling that he loved it as much as he did. Football is not for everyone, and I was relieved to see that for now, football is for him. Trust me when I say that it is not easy to line up against a 100 lb "might mite" when you weigh 60 lbs. Mighty Mites is the only level that doesn't have a weight limit, and I must say that after Saturday I may suggest to someone who has some pull that we need to check into that. I may have lost a year of my life during scrimmage four seeing number 8 line up against our tiny team of six and seven year old boys. I had to remind myself that he is the same age as our boys, and most likely still sleeps with stuffed animals and loves Super Mario Bros. It only calmed me a bit. I was much happier when the whistle blew and rotated fields. My older son plays at a slightly more intense level, and 100 lbs boys are a dime a dozen. Sunday we packed our cooler for the three hour scrimmage to watch these big boys play some big kid football. I was completely amazed at how fast they play, how hard they hit, and how well they play as a team. I have long said that football builds a camaraderie like no other sport. And yesterday, I saw that camaraderie once again. I'm officially ready to start our season, team jersey on my back and cowbell in my hand. Oh, and on a side note, we ran into number 8 at Burger King on the way back from our scrimmage Saturday. He was eating a full five piece chicken strip meal; LLG was busy dippin' his nuggets in sweet n' sour. I remarked to his mom what a big kid he is, and that he played great. He actually didn't look nearly as threatening without his shoulder pads and helmet. His mother told me he is really just a big mush, and he still sleeps with his stuffed animals. It's Saturday. Outside it's rainy and cool, and normally I would love to snuggle my blanket and sleep well past 7am. Instead, I jolted awake this morning from a horrific back to school nightmare that only my mind could think up. 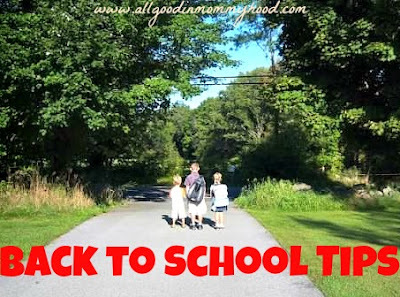 All of my kids missed the bus on the first day of school, because I forgot it was the first day of school. The next thing I remember we were running around our house trying to find the back to school supplies. There was stuff everywhere, some of it new and some of it still left in the backpacks from last year. Which incidentally, the backpacks in this dream weren't even our backpacks. 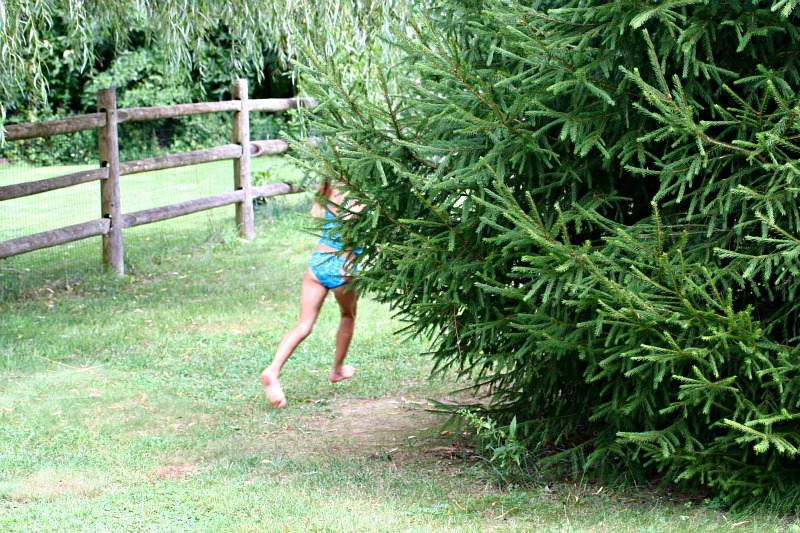 I continued to run around frantically, inside and even out in the yard, telling myself what a terrible mother I am for forgetting it was the first day of school. As I searched for supplies, I was screaming to all my munchkins to hurry and dress because I was going to drive them to school. 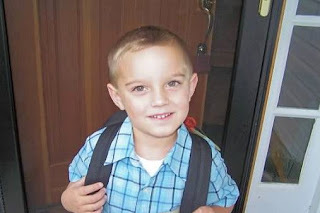 My oldest was distraught because it was his first day of middle school, and I was distraught because it was also Moopa's first day of kindergarten. Let's ignore that she is only three for now. Next I remember dumping broken crayons and nubby pencils into my eleven year old's backpack, my neighbors talking about me, and myself trying to wrangle the kids out the front door. But I couldn't find jackets because it wasn't even my house. This is when I jolted awake, confused and wondering what day it is. Then I realized it's Saturday, I have all back to school stuff piled on my dining room table, and my house is no where near as awesome as the house my brain gave me in my dream. The "dream house" was old with wooden doors and tons of character, but it was a completely disorganized mess. It was enough to wake me from my nightmare. It took me several minutes to decompress, remember I'm whacked in the skull, and breathe again. At least I'm up and ready for our football scrimmage today, and the house is still quiet because the munchkins are still sleeping. Cheers to my peeps. Enjoy your Saturday! I post often about Disney. It's one of my favorite places in the world. It ranks right up there with my mom's kitchen and a warm toasty fire on a chilly fall afternoon. After having four kids, it's safe to say flying to Disney is too expensive. If we went every few years we would probably just save the money and fly like birds on Jet Blue. Or Delta. Or Southwest. But we try to go every year. We live in the northeast, and our road trip to Disney takes about nineteen hours if we drive straight through. 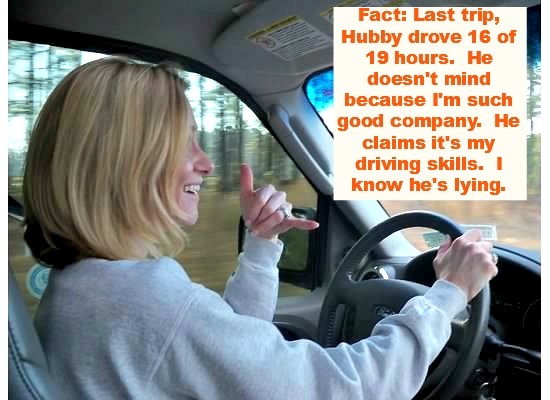 Yes, nineteen long hours with four kids in the car. It's enough to make some parents want to stick needles in their eyes. In all seriousness, I do have a few tricks to get our family to Disney without any major meltdowns. It's fairly easy, if you have patience and the will to drive nineteen hours. 1. Pack coolers. Stock your car with a cooler jam packed with drinks, snacks, fruit and anything else you'll desire for the trip. Pack bread and PB&J, or grab deli sandwiches to bring along. More on the lunch items in #8. 2. In the cooler, pack a damp washcloth. Nothing keeps you awake like a cold towel. 3. Every child should have their own pillow to rest. 4. Switch drivers after breakfast if you haven't done so already. We have Hubby sleep before we leave, and I try to catch a few Zzzzz's during the first few hours on the road. After breakfast, I drive a bit and Hubby sleeps. 5. When you enter Florida, stop at the Florida Welcome Center. 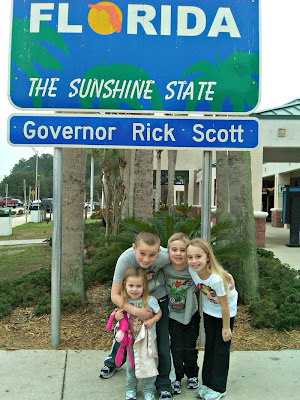 This tradition was started by my father, and I cherish the memories of "Welcome to Florida" sign and the free fresh squeezed orange juice. Summer is winding down, and the munchkins are getting a little bit antsy. Camps are finished, playdates are few and far between and day trips are over for the time being. While I'm still loving the routine-less days, I'm not loving the miniature arguments over juice, television and who is touching what. It's enough to almost make me wish for school. Almost. Yesterday, in an effort to keep the kids outside and away from all electronics, I suggested an obstacle course. The munchkins love a good challenge, and quickly began planning and finding obstacles. 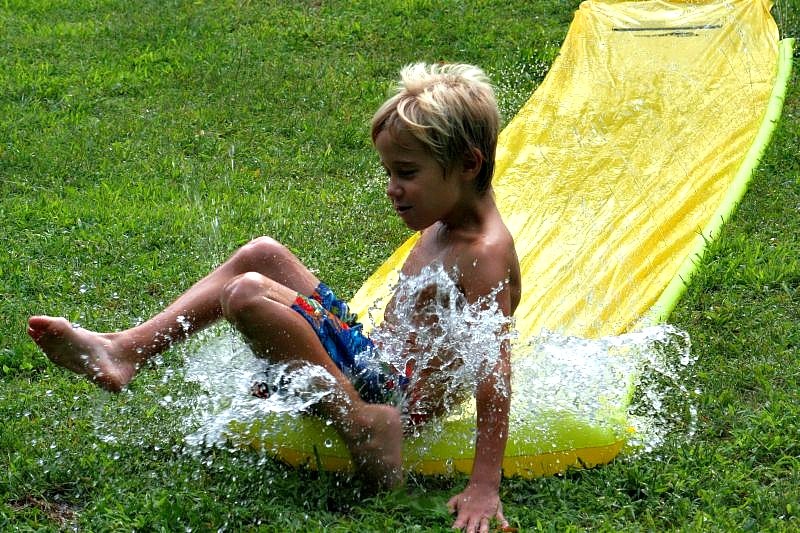 Down the Slip N' Slide. Balance beam around the playground that needs more playground mulch. Jump over assorted pieces of junk we found in our yard. Oh, and of course every obstacle course needs a dedicated timer. Our Sports Fanatic was happy to oblige. And then he hit the course full dressed. That's the beauty of summer, no worries man. No worries. Over the weekend, my family shared laughs, told stories and wiped tears as we said goodbye to my "Grandpa Bear." He passed away last Monday. His passing was unexpected and many hearts were broken. The loss of my grandfather was truly the end of an era; the family he created was large and he lived even larger. 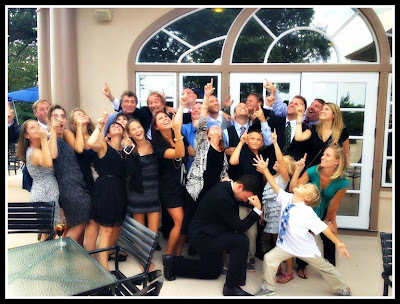 Ted had a life so full it's impossible to sum up all his travels, friends, business associates and family in one post. Grandpa Bear knew how to light a room, and he had a spirit so gentle I'd never heard him utter an unpleasant word about anyone. He had a dry humor that took me a few minutes to process, leaving me to experience many amusing "ah ha!" moments in his presence. Pa Bear grew a company that supported an entire family, and the memories of working the switchboard after school will be with me forever. My brothers worked in the shop; my father, uncle and mother in the office. As the years passed my Hubby joined the team, and my brothers graduated from making doors to selling and servicing doors. Work was truly a family affair. Pa Bear had a grand office upstairs with one of those mahogany desks only important people sit behind. He meandered downstairs a few times a day to check with the billing office and collect his reports. He was still putting up red flags well into his 70's. No questionable sale or return slipped by him. Not one. He was a respected, much loved CEO. He did business the way business should be done, and he treated his employees the way he would want to be treated. My grandfather's funeral procession literally shut down the small town his funeral and company resided. As the dozens of cars rode past his place of business, taking him to work one last time, police officers had traffic stopped at every corner. Pa Bear will certainly never be forgotten. And the family he built will forever be thankful for the legacy he left behind. He had class, wit and humor. He loved a good glass of wine and the Sound of Music. 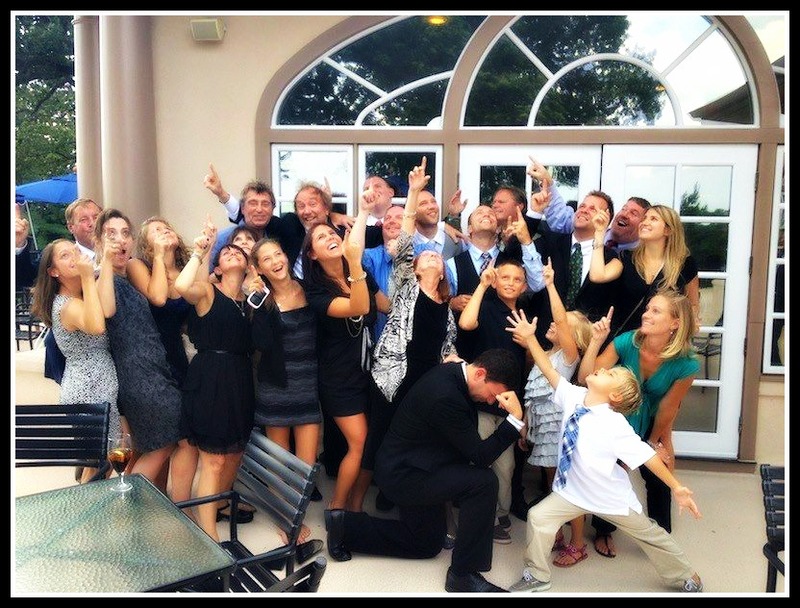 He taught his very large family how to live well and live honorably. Ted, heaven is waiting with a bottle of red. From all of us, this one is for you. We march on, with you in our hearts. And we will forever celebrate the life you lived, and the time we had. Happy Trails! Call someone you love today, life is short! The year I got married, my dad purchased a house one block from the ocean. The house needed some major TLC, and my dad spent months renovating the house to make it his own. What resulted was a gorgeous house my entire family squeezes into every chance we get from June until the end of August. We love the dusty picture frames and the sandy floors. Days are hot and sticky but nights always surprise us with a cool ocean breeze. There is truly nothing like time spent by the ocean. 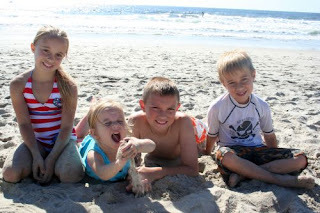 As wonderful as it is to escape from reality, weekends at the beach become a working vacation when you have to worry about four munchkins After I had my first child, I realized that traveling with kids is certainly not the same as traveling without kids. You need more supplies and more patience. Everything takes much longer and if you can't laugh about things when they go wrong, you'll never have a good time. Because with kids, something will always go wrong. As my kids got older, taking them places is easier, because they know the drill. We've taken them to enough places that they adjust to new surroundings. They know how to sleep away from home, and they look forward to the new scenery. This summer, they once again were able to spend time with their feet in the sand. And I'm very thankful we had the few weeks we did at the beach. Bring sunscreen. Lots of sunscreen. Leave the cell behind as much as possible. Make time for ice cream. Bring along children's medications such as Tylenol. Consider packing probiotics, such as Culturelle. Probiotics keep tummies regular. During downtime, play cards and read books. Purchase a large mesh bag for sand toys. You will cherish this bag. Bringing your own medicines and probiotics can save you from upset stomachs and a midnight run to the store in case of a fever. Probiotics such as Culturelle help prevent digestive upset, which is very common when kids are away from home. They also boost digestive health which keeps kids healthy and their immune systems strong. 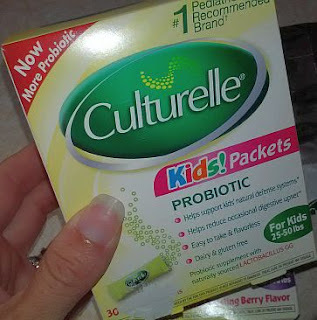 Culturelle is an all natural probiotic, and the #1 pediatrician recommend brand. 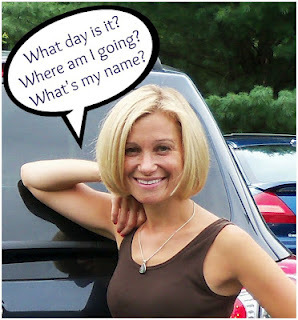 Today, with mucho running around to do, I decided to kick back and particpate in Mama M's blog hop, 5 ? Friday. Its' been months since I indulged in such blog hopping fun. I highly recommend it. Without further ado, here are my five answers to five very pressing questions. Hmmm...LOVE them. They make me want my sweats, a large ice cream and a good movie. And of course a few loud cracks of thunder gets me a few snuggles from the munchkins. Yes...I love back to school shopping. 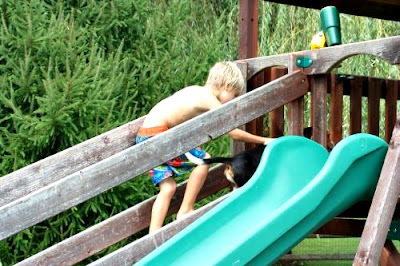 Even as a kid it was one of most favorite pastimes. Is shopping a pastime? I already took my daughter for a day of shopping and gorging oursleves on Auntie Annie's pretzels. We hit up all the hotspots...Old Navy, Children's Place and of course....Justice. Heaven forbid we skip buying some very loud bright clothes with coordinating accessories. Next up I'll take the boys to purchase athletic shorts and sneakers. Not quite as exciting as hair bands and glitter tops, but still a good time. There is nothing like a day with my munchkins. When I was eighteen, I went for a golf lesson at my father's country club. A gorgeous, young guy appeared from out of the pro shop to drive me down to the driving range. He taught me everything I needed to know about golf. I listened attentively because he was the cutest thing I had ever seen. I went back for several lessons just to see him. He is now my Hubby. So yes, I do watch golf. But after four munchkins, I don't play. I leave that to him and the boys. Showers. No time for baths, and as Hubby says "Why would you lay in your own filth?" I am known for a fairly bland diet of simple sugars, carbohydrates and ice cream. No strange anything for this Mama. It's that time of year when summer is slowly winding down, and fall is creeping up. Mornings have a slight chill in the air, and nights are cool when the sun retires behind the horizon. With this slight change of weather comes a new schedule, and it's a five-night-a-week ordeal. It involves heavy equipment, money for the snack bar and cool towels for sweaty foreheads. Every year, July is spent at the beach, having playdates and attending camps. August is spent at the field, along with all the other football crazies. We set out our blankets and lawn chairs, pack our coolers and wonder how on Earth we are already back at football practice. 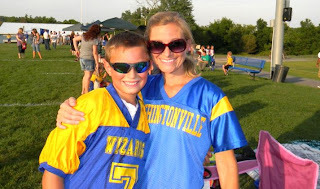 With Hubby coaching and two boys playing this year, football is truly a family affair. 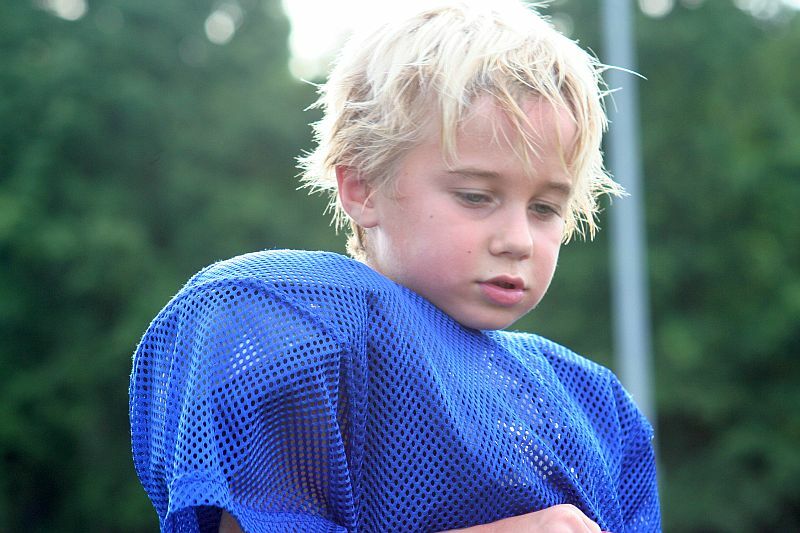 The girls play on the playground, and the boys spend two hours sweating underneath shoulder pads and helmets. They tackle, run, stretch and fool around with their teammates. I chill in my lawn chair, running my toddler to the bathroom every three minutes. And when practice is over, we spend another twenty minutes finding all our equipment and loading everyone into the car. Most nights, it's 10pm before I even get to clean my kitchen. While this all seems completely insane to non-football parents, I actually love the sound of shoulder pads and helmets. I love the practices, the games and everything in between. Having four brothers and very involved parents, I grew up on the football field. And those memories will stay with me forever. And I know my kids will feel the same. Football parents share a strange "what did we get ourselves into and where did my other kids just run off to?" kinship. We watch our kids, chat with friends and fall into bed with dreams of grass stains and remembering to pack the water. We curse thigh pads and chin straps and replace chewed apart mouthpieces weekly. To all my football friends, here we go again. And to anyone who loves football in general, kickoff is around the corner. Get those jerseys ready. This week, I have two kids in camp from 9am to 3pm. These camps are in two completely different directions. I knew this when I signed the forms and paid the money, I just chose to deal with it later. This is my go-to system. Deal with it when I need to deal with it. Last night, I had to deal with it, so I finalized carpool plans with two families who also have a child in each one of my kid's camps. 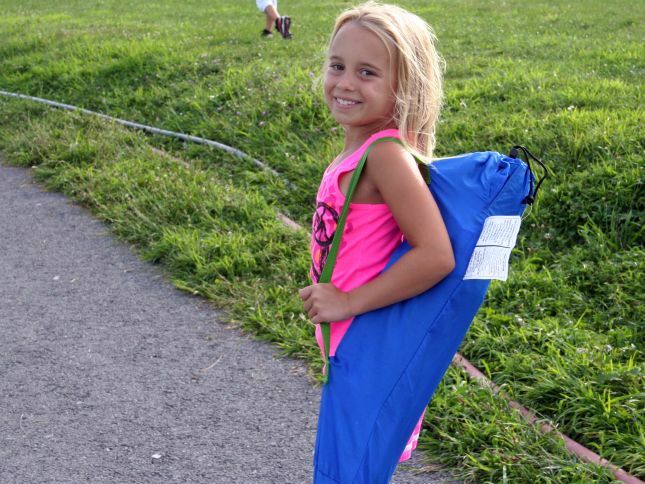 My one neighbor and friend has a daughter doing gymnastics camp, and our other friend has a son at Sports Camp. These families also play zone defense, meaning they have MORE than two children. It's safe to say my brain has just about nothing left after figuring out my three family carpool to two camps that are no where near eachother. I feel as though I just played an hour of "Where in the World is Carmen SanDiego?" Anyone else remember that show? For now, everyone has a ride and every parent will cursing the price of gas by the end of this week. As plans shuffle and change, and parents need carpool adjustments, we'll deal with it. We always do, and somehow we always figure it out. To my carpool families, I thank you. You have saved me from my over-scheduling debacle. Next summer I may bag camps all together. Just another week here in Mommyhood. First of all, I want to thank everyone who has been reading my blog and supporting my facebook page. I reached 200 followers this past week, which was very exciting! I have never really done much Pinterest/Facebook blog hopping, and to know I have 200 people who actually "Like" my Facebook page because they want to make me smile from ear to ear. Secondly, I have had a huge surge in traffic because of my Disney blogs and pages. I thank each and every Disney reader, and I will do my best to continue writing informative and helpful information as much as possible! I enjoy all your trip planning questions and emails...keep 'em coming! If you know anyone planning a Disney trip, send them my pages and know I am happy to help anyone with questions they have. 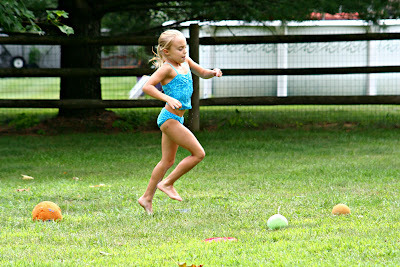 Lastly, HOW AMAZINGLY FUN are these Olympic Games??? I look forward to my 8pm showtime every night, watching the coverage of these incredible athletes as they compete in games they have trained their whole lives for. I even love the commercials. There is not one minute of my Olympic viewing that I don't enjoy. The commercials are so inspiring I actually find myself wiping tears from my eyes. Is that embarrassing or what? My daughter has gone even more gymnastics crazy, constantly prancing around the house practicing her floor routines. My sons held their own Olympic Games at our friend's swimming pool yesterday. They had their i-pods out to time each other and made their own relay teams. It's safe to say that everyone who watches the Olympics is inspired. It's pretty tough not to be. The only gripe I have about these Olympics, is that everyone knows who wins BEFORE we get to see the coverage on television. It drives me crazy. I have steadfastly avoided all news coverage and any spoilers....my husband and son included. SportsCenter may ruin the surprise for them, but I have warned them NOT to ruin it for me. Are you avoiding the spoilers? Are do you check to see who won as soon as the media has the results? I hope you're all enjoying your Friday, and I wish you all a very happy weekend! Don't forget to check out my P&G review, and browse their great online deals right now! Anything you purchase I receive a small commission from, which I greatly appreciate!! Also, in my right sidebar, you can enter to win an i-pad! Coupons.com is hosting a giveaway, giving away an i-pad a day for a week! 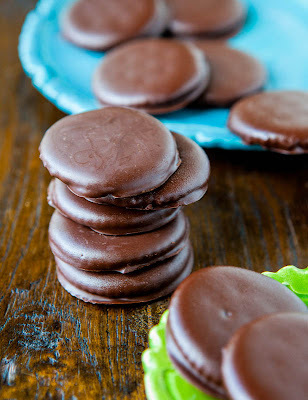 This past week, I found such fun and creative ideas on Pinterest. 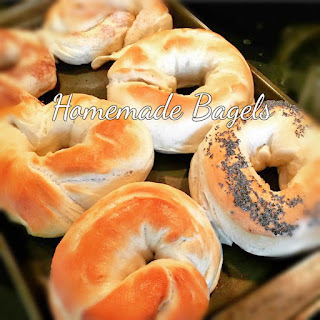 I also found recipes that make my stomach grumble for trans fats. In no particular order, I wanted to share my current Pinterest favorites. 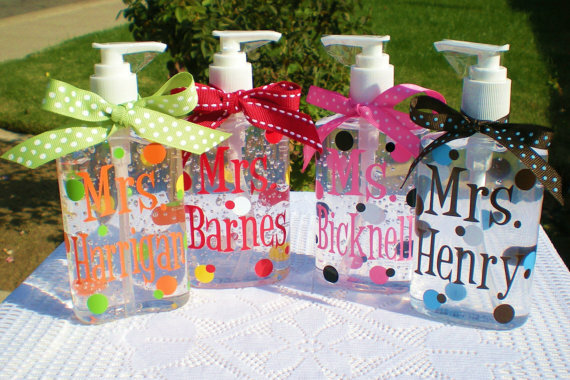 From Etsy, Santas giftshop, personalized hand sanitzers for teachers. 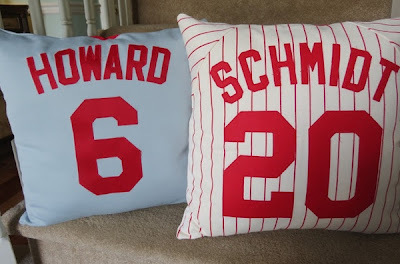 From Sweet Bee Buzzings, pillows made out of old sport jerseys. Amazing idea! Pink Parsley has me salivating for this Cookie Dough Fudge. Averie Cooks has me dying to try these Homemade Thin Mints. I'll be waiting for Girl Scout cookies no more! On that note, my stomach is hungry and I'm off to pick up my daughter from Gymnastics. I hope everyone has a splendid Thursday! Almost the weekend! Don't forget to check out my Swiffer Wet Jet review and click the link to buy great P&G products with 10% off and free shipping on $25 or more!